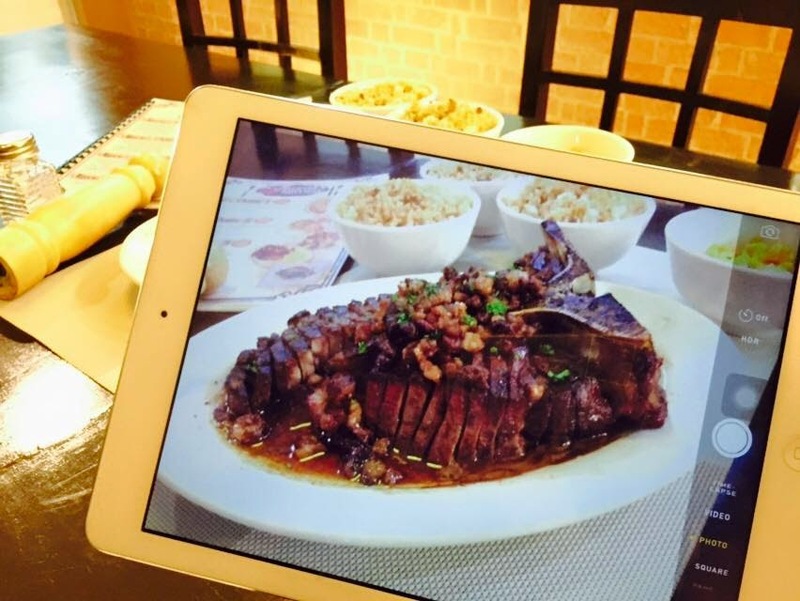 True friends and true love are hard to find but delicious steaks are just within reach especially if you happen to live near Kamuning in Quezon City. 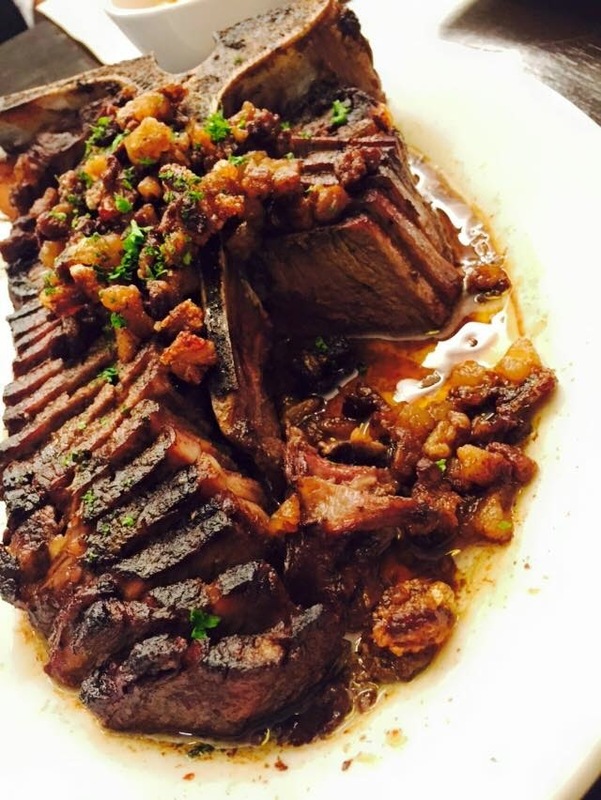 Vittorio's Steakhouse, Pasta & Ribs is owned and managed by Chef Victor Daluz. 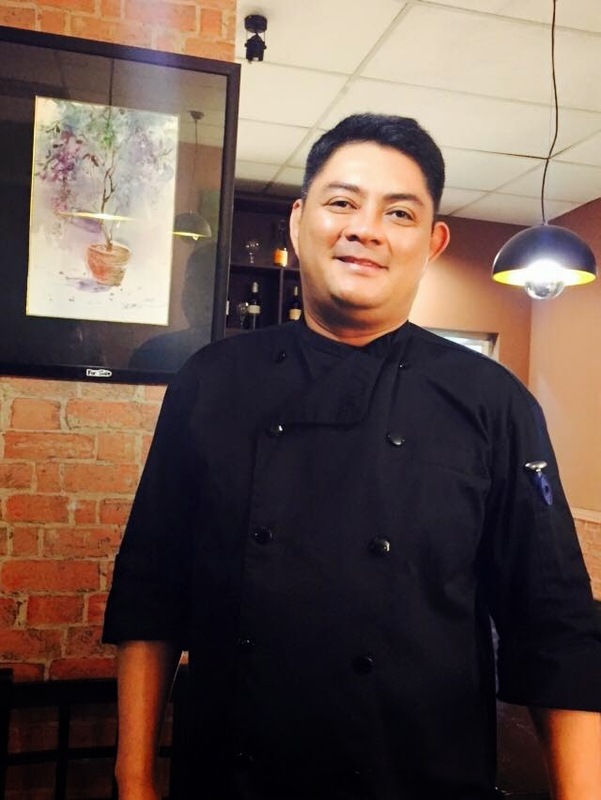 Chef Victor, prior to becoming a chef-restaurateur has worked in hotels abroad and has perfected the art of grilling juicy-licious steaks which becomes his trademark. Clam Pesto. Super good. 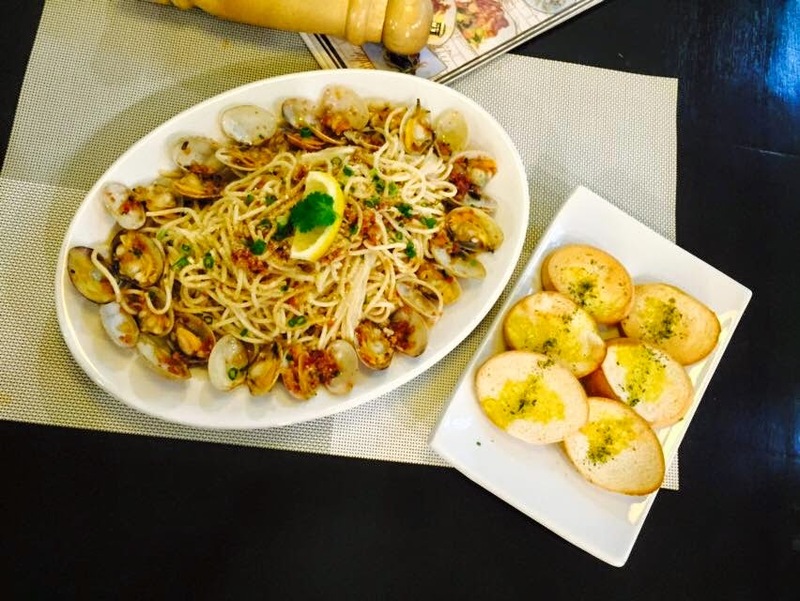 Its really hard to prepare seafood pasta that doesn't taste fishy. But then of course, using the freshest clams is a must as well as the best spices. Thumbs up! An order costs P320 but the one on the photo is a "family serving" so it costs more. 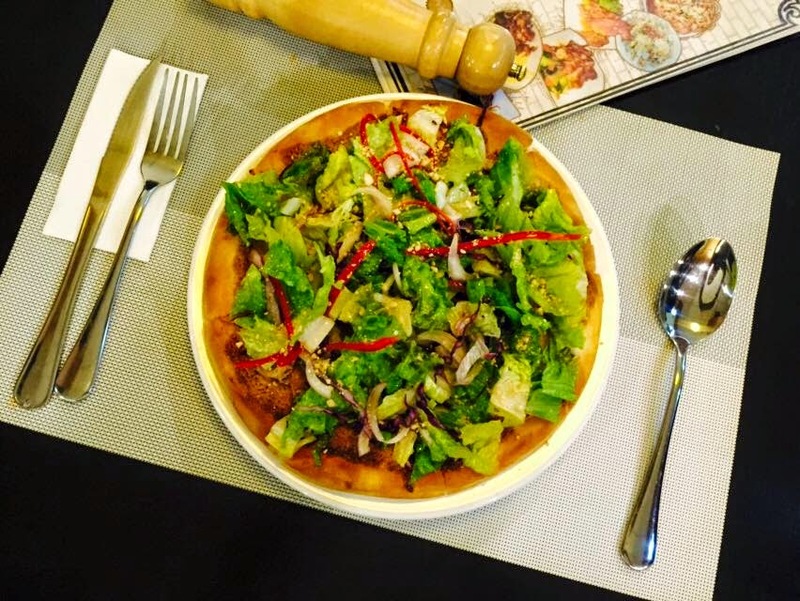 Spicy Thai Chicken Pizza, P275. This pizza flavor is quite interesting and delicious at the same time. The secret sauce is hidden under that pile of crunchy lettuce. 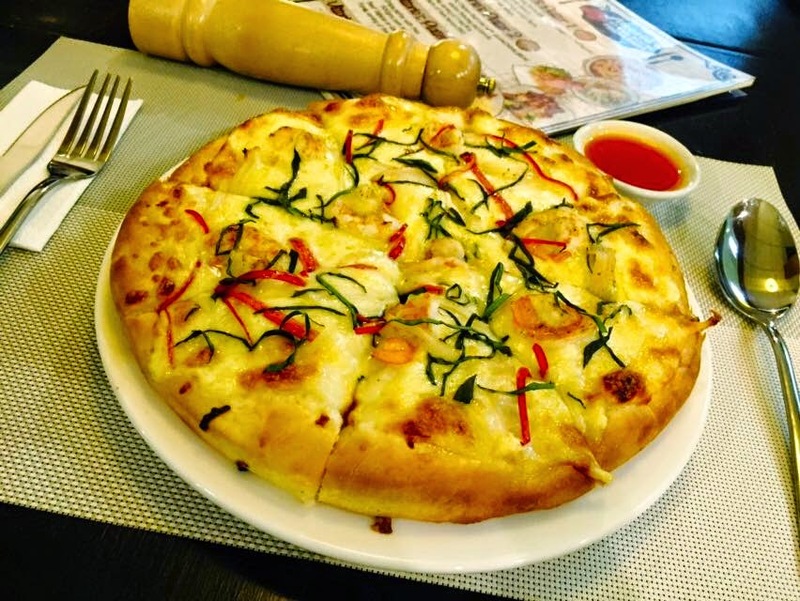 Crab & Shrimp Pizza, P299. Another yummy pizza. USDA Porterhouse (980 grams), P2,590. This was serve to us medium-rare. A very thick and tender slab of porterhouse. Chef Victor marinated it with herbs and spices so no need for gravy and other sauces. Those fried thingies on top are actually steak fat that's been fried like "chicharon" bits. So good. Hello steak diet! I would say that Chef Victor is a certified "steak-ologist." He knows his steaks- how to cook it perfectly as well as get the choices cuts. 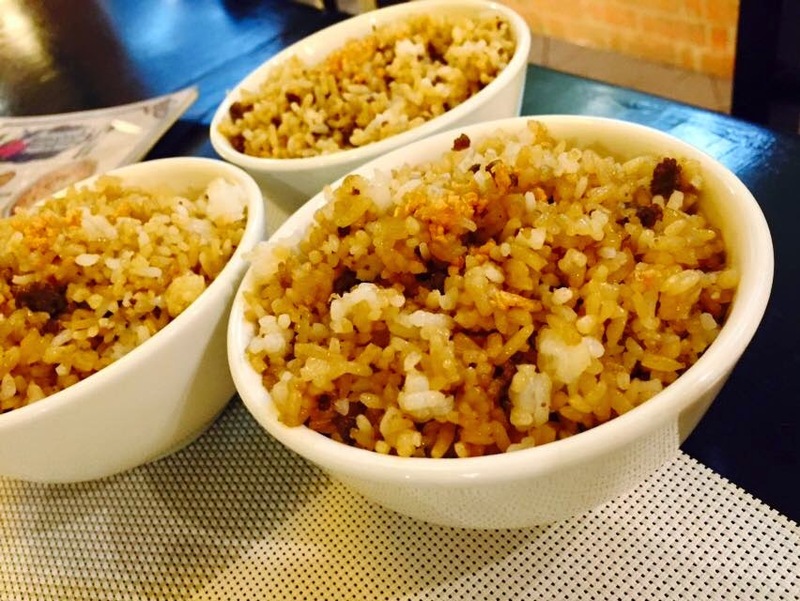 I hope we could try this restaurant too! Love the Crab & Shrimp Pizza. Thanks for sharing! i want the clam pesto for lunch! now na! hahaha, i always see this place but never bothered going in, will try this asap! Hmm, steak. I can only imagine how good their rib eye would look like, it's my husband's favorite. Good steaks are usually expensive but for special occasions, why not? You got me drooling with everything here specially with that USDA Porterhouse! I've been hearing about this place. Looks like it's worth a visit!